TOPIC: Suddenly missing effects strength sliders? So after a good few months of not gaming on the PC I came back to play the newest Hitman game. I've installed ReShade to it and to my surprise its menu is completely missing the option of setting up the intensity/strength of the effects which definitely were there before :/. For example "Curves" effect is completely missing the option of setting up how strong the said effect is. Same goes for the Adaptive Sharpen. Vibrance also simply has the option for the "RGB" manipulation and is missing the option of how strong we want it to be. It was definitely possible to decide how strong I want the effects to be these few months back when I used it last. I really don't have a clue why all of a sudden these options are missing. 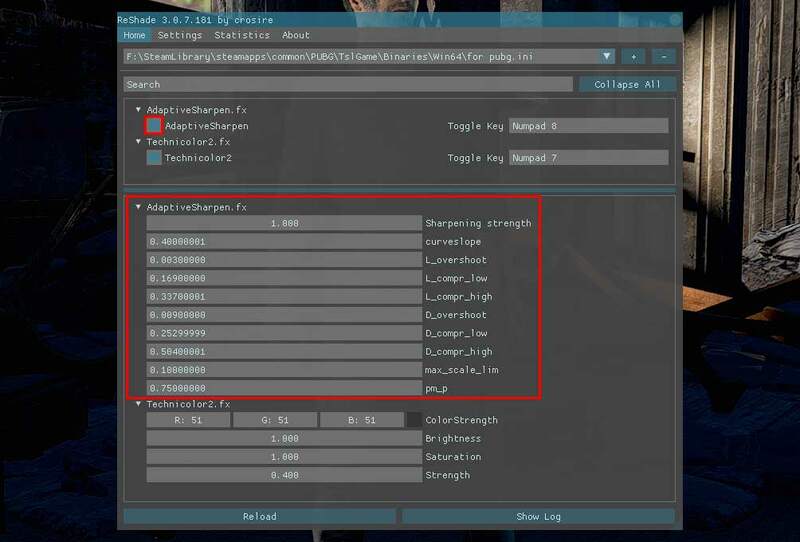 You can clearly see that I'm missing the "Strength" options under every effect. It was identical for all of them. Can anyone tell me why am I missing these options? Thanks a lot in advance. Last Edit: 4 months 4 weeks ago by budyll. Did you redownload the shaders? You need to update to ReShade 4. Shaders won't work correctly with old versions anymore. Somehow 4x version messes up the preset so you have to make a fresh preset again with 3x and manually download the old shaders. If you have to use 3x version that is. Last Edit: 4 months 4 weeks ago by klotim. I do hope you have created a branch on github for v3 users, because v4 with its locked window position (and workaround which is kind of cumbersome atm) can be a version some people (myself included) won't use for quite a while. If you create a branch on github from the last commit before v4 specific changes were made and call that 'v3' people can pull those. Last Edit: 4 months 4 weeks ago by OtisInf.